When a BMW dealership moves to a new location, what happens to the vacated site? For the Dilawri Group, the answer in Calgary was simple: turn it into a classy outlet for used vehicles, name it the Used Car Gallery, and make it easy to find on the Internet. That’s what happened when BMW Gallery opened a new store in Calgary’s Northwest Auto Mall earlier this year. Open since Feb. 1, the Used Car Gallery, run by general manager Doug McLean, has exceeded his expectations. It resides in a building originally constructed to BMW dealership standards with a showroom that holds 10 vehicles, although a couple more could be fitted in, and there’s room for another 100 stored underground and about 30 more on the lot outside. 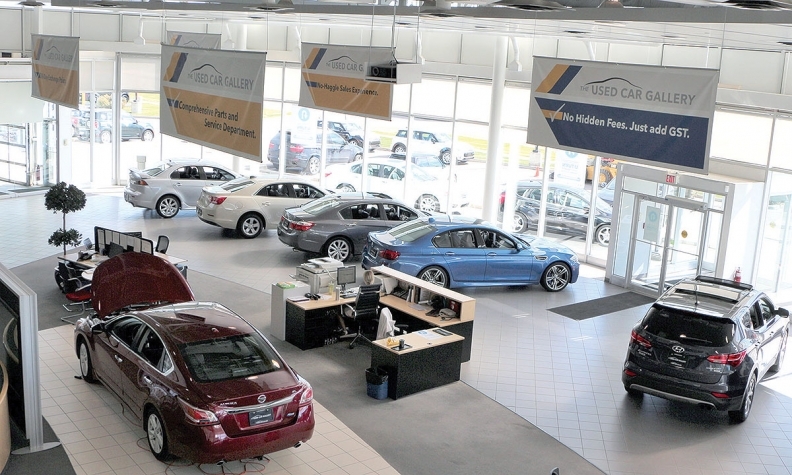 It’s a unique situation since the used-car operation is larger – about 30,000 square feet (2,800 square metres) – than the Mini store that’s attached to it, but it’s a symbiotic relationship that McLean says works well. There’s a service manager who serves both stores as does a sales coordinator, two business office staff, lot attendants and detailing staff. The Used Car Gallery is a former BMW dealership that still has a Mini store attached to it. Several staff members are shared between the two. 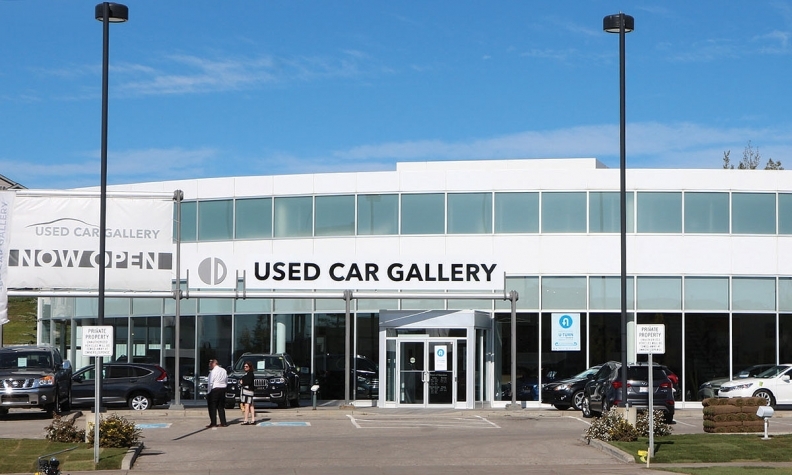 The Used Car Gallery isn’t ideally located for people who take an evening to cruise by looking for a vehicle. There’s little parking available and the street outside is a busy artery in northwest Calgary so the store’s website is playing an important role in sales. McLean adds that the store’s no-haggle, no-fees pricing structure means buyers come in knowing the exact price of the vehicle they want. McLean says he’s not surprised by the amount of traffic the Web has brought. “I think the whole used-vehicle business is changing. People are shopping with their fingers to find what they want,” he says, adding that potential customers have been doing their research and are, for the most part, well informed.